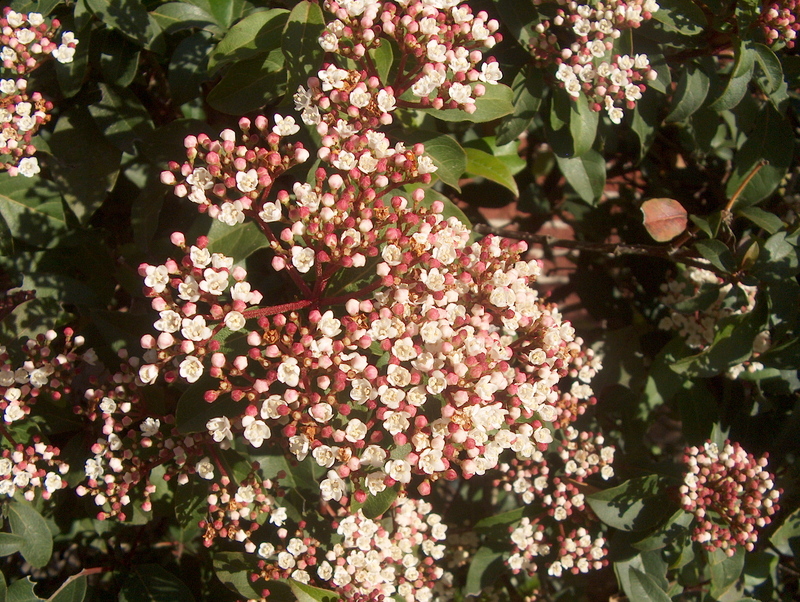 Comments: This viburnum grows upright and produces pinkish-white flowers in late winter and early spring followed by black fruit in fall. It has been grown in landscapes since early times. It can be grown as a lone specimen or massed to form a privacy hedge. Leafspot can sometime be a problem with plants growing under stressful conditions.